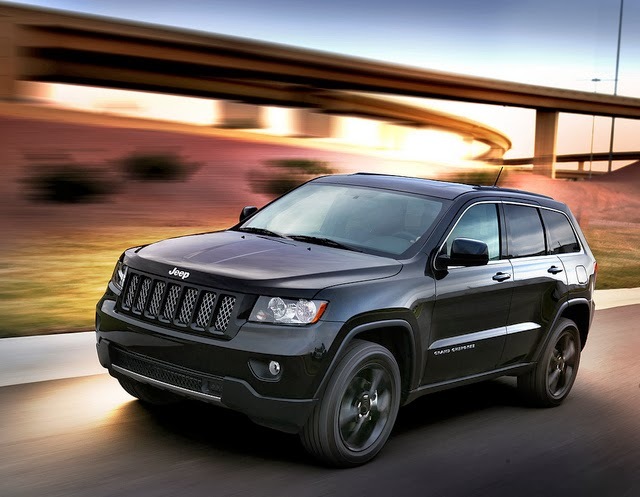 Jeep Led the Market when it Introduced Its Most Powerful 2013 Grand Cherokee Off-Roader Ever! In it's earlier years, the Grand Cherokee was not placed too well against other compact crossovers; - It weighed more, it was thirstier, and it offered less creature comforts than its competitors. Jeep has overcome that situation with its new Grand Cherokee (released 2013) that has given more refined, and fuel economic choice to its fans with improved power delivery. Jeep has introduced this new version with the incorporation of Mercedes-Benz M-class and by sharing its components. The revamped version hits the market with a premium look and all luxury attachments. Under the hood, Jeep has featured a 3.6 liter heavy duty V-6 engine that can produce 290 hp with the torque generation of 260 ft-lb that is smartly mated with a 5-speed automatic power transmission system. However, the SRT8 is an exception from this attachment. The automaker has also kept the option to attach a 5.7 liter V-8 engine that can power-up the vehicle with 360 hp and 390 ft-lb of torque. With this engine set up, 6-speed automatic transmission is the standard choice. With the V-6 engine, it takes only 9 seconds to accelerate the SUV from zero to 60 mph. The estimated EPA ratings for this version are 6.8 Km/ L on city roads and 9.78 Km/L on highways, which are in the satisfactory levels. However, the 4WD with V-8 engine set up estimates 5.53 Km/L on city roads and 8.5 Km/L on highways. This version takes 8.2 seconds to accelerate the compact crossover from zero to 60 mph. 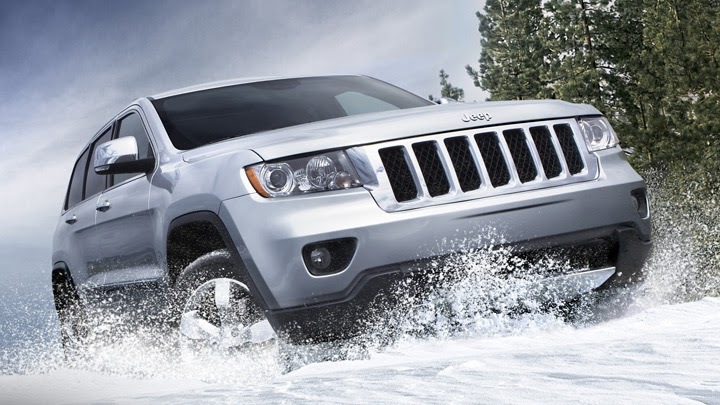 Jeep has kept the rear-wheel drive system as standard and also offered three different 4-wheel drive systems. The Laredo models comes with Quadra-Trac I and all-wheel drive system. The Trailhawk, Overland, and Limited trim levels feature V-8 engine set up with Quadra-Trac II standard. It also includes Selec-Terrain system, 2-speed transfer case, and descent hill control and so on. Other three trim levels come with electronic controlled limited-slip differentials for better stability and cruising. The Trailhawk version gets the Quadra-Lift air suspension system as a standard feature, but it is optional for the Limited edition Jeep Grand Cherokee model. Besides, the SRT8 is even more powerful than you expect. It packs a 6.4 liter heavy duty V-8 engine that generates 470 hp with 465 ft-lb of torque. Its track record is quite satisfactory and even sportier than others. It takes only 5.1 seconds to accelerate the SUV from zero to 60 mph!! As compared to its power generation, it is satisfactorily fuel economic than other competitive crossovers. It achieves 5.1 Km/L on city roads and 7.56 Km/L on highways. 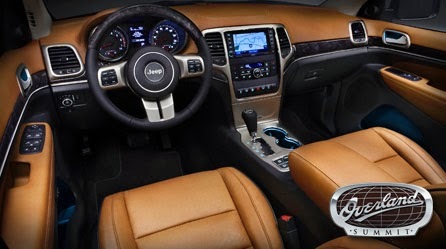 From door to dash, Jeep has garnered this SUV with all premium materials. It is in the best class standard with its luxurious and roomy interior. To ensure maximum safety as well as comfort and reliability, Jeep has featured this Grand Cherokee with side curtain airbags, traction control, stability control system, and antilock disc brakes and so on. Jeep introduced this new 2013 Jeep Grand Cherokee off-roader with the price starting from just $49,000 AUD which put the family SUV in a very favourable market position. Now of course, Jeep have redesigned the look again for 2014 (released late 2013) and in this writers opinion have made it look (and drive!) like an entirely different - and better - car! *Edit - Not only that, the price now - for an even lighter, more agile, less thirsty and MUCH better looking SUV than before is even less, with prices starting from just $45,000 AUD! !